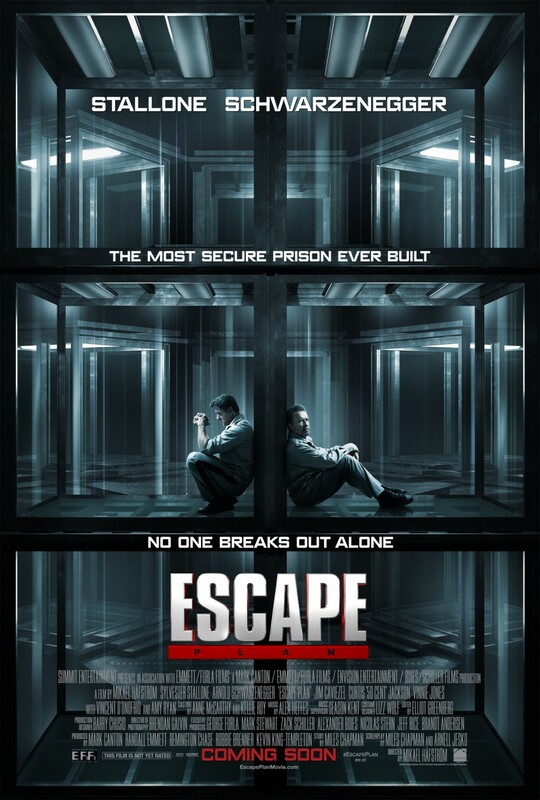 Escape Plan – No one breaks out alone. What a pleasant surprise that these two actors got together and made a pretty good action movie in the twilight of their careers. Breslin (Stallone) is hired to break out of prisons and expose weaknesses to prison security. He finishes a job as the movie starts and is offered a job with a much bigger fee and a much bigger problem. He is forced to change the way he works to accommodate this new job and his team does not like it. He is whisked away and put into a secure facility simply know as “The Tomb” (This was going to be the original title of the movie). There he starts his usual work trying to escape, but this facility has a few surprises of its own. I was drawn into the story, which I thought was very good and I was impressed with Stallone who was the driving force throughout this movie. Faran Tahir is an actor that I am noticing more often and he brings great screen presence and performances on a regular basis. There are a few problems with this movie, but just check your brain at the door and enjoy the ride. If you liked this try: No Escape, Escape From New York, Runaway Train.